Using structural steel fabricators, contractors can create a variety of steel products. They cut, bend and assemble raw metal materials and turn them into sheet metal and structural steel. It’s entirely possible you have seen the result of structural steel fabricators and didn’t realise it, as many buildings are being assembled with this method. Structural steel is used on projects ranging from sports stadiums to amusement park rides. Many structural components of buildings, as well as entire skyscrapers, are built from structural steel- a product that is having a big impact on our lives. It has become an indelible part of the construction industry. Many buildings nowadays incorporate structural steel into their makeup, even if they are being built the same way they have been for decades- with a skeletal steel framework. Of course, wooden buildings don’t rely on the same methods as those made out of steel or concrete, but many wooden building will incorporate some steel framing to help provide some support and to keep the structure from caving in to the elements. Modern buildings are constructed partly by automation and partly by human work. The majority of them are comprised of vertical steel columns and T-beams that are laid horizontally. These support beams are assembled into a grid work that provides support for pretty much any type of structure. You won’t always see these support grids, but they are still there, albeit covered up by other building materials. 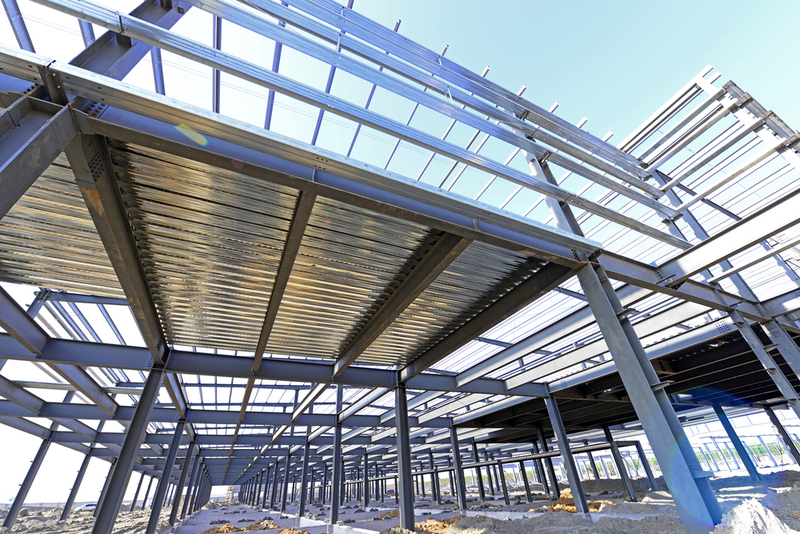 Structural steel fabricators can be responsible for buildings created in a variety of ways. A CNC cutter will often be used to chisel, shear or saw the metal. Sometimes, workers will use a handheld torch to mold the steel into the form they want it to be. The fabricators will then be used to press the finished components together. Those pieces can be fastened together using binding adhesives, rivets or welding. Rivets are the most common choice, since they won’t break down under severe pressure. Any construction project would benefit from steel fabricators, and there’s a good reason for that. Fabricators can create materials that are aesthetically pleasing and yet inexpensive. Structures formed using this method are highly sought after, since they can be incredibly cost effective. Steel fabricators are very important for the future of the construction industry, and they’ve been in use since about the middle of the twentieth century. They are known to be dependable, but they still need to be operated by someone who is experienced and skilled at using them. Otherwise, you can end up with poorly built structures that can endanger those who use them. Look around you and see if you can figure out which structures have been put together by steel fabricators. You are bound to find a few buildings in the city you live that have been built this way. They are in use all over the world, and they are definitely worth considering for your next construction project. Structures built with fabricators are not only durable but will continue to be secure for years to come.